It may never have occurred to you, but that used computer you currently have collecting dust could net you some easy cash. Computers are one of our hottest items, for both buying and selling. Now before you say “There’s no used computer store near me!” Oro Express Mesa would like to make a retort. 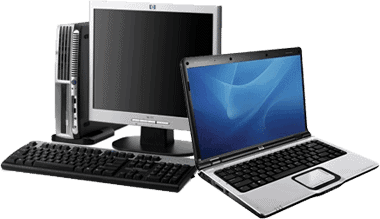 Since used computers are so valuable right now, we can offer the absolute MOST cash for your old computer. You won’t find a better price anywhere in Mesa, Chandler, Tempe, Gilbert, or the surrounding areas, guaranteed. Computers get outdated VERY quickly. Every day, a newer and more powerful computer is thrown into the market, rendering all older ones obsolete. But many people only want a computer to check email or simply browse Facebook, which is why used computers are still valuable. Come in today and sell your used computer for CASH or even store credit toward an upgraded computer! Computers are very much like cars in the sense that they lose value VERY quickly after being purchased, but still retain a high level of usefulness. For this reason, there’s a huge market for used computers, just like used cars. Because we have such a large inventory of used computers, we can offer them at a far lower price than you’d find elsewhere. Choosing to buy a used computer instead of a newer one can save you hundreds of dollars, and the options are almost endless. Stop by and find the perfect upgrade for you at our pawn shop! When it comes to computers, there’s an infinite number of models, variations, brands, and parts, so there’s really no reason not to buy and sell everything we get. As long as your computer turns on, we’re willing to buy it. Don’t forget to bring all necessary cables and accessories, such as keyboards, mice, monitors, and speakers, to ensure you get the most amount of cash possible! For over 10 years and counting, Oro Express has some of the highest regarded customer service in the pawn industry throughout the valley. Through our transparency in both buying and selling you can always shop with trust when visiting our store. This makes us the ideal location for selling your laptop or desktop no matter the condition. Don’t forget we also serve Tempe, Chandler, Gilbert, and the surrounding areas! So if you need to find a used computer store in Mesa, AZ, stop by Oro Express Mesa today!